I first heard Hope speak at the Missouri Writer’s Guild conference a back in 2012. I loved the fact that she always smiled, and consistently wove positivity in her talks. When I discovered Hope and I were featured authors at a booksigning at Columbia, South Carolina’s Irmo Branch Library in March, 2015, I suggested our husbands meet over dinner the evening prior to the event. After three hours of lively conversation on writing, vacations, dogs, and various topics, we almost closed down the restaurant. Looking around at nearby tables, we didn’t recognize any of the original patrons when first seated. We decided to leave the waitress a NICE tip. This is the second author highlight on C. Hope Clark, I’ve done, and I admit, she is one busy woman. Hope her answers provide insight for authors everywhere. 1) Is it important for writers to help each other, and not charge for services – kind of a quid pro quo – as long as the writer has already developed a mutual relationship with each other? I believe that writers naturally help each other, and it’s up to each individual to determine where that line starts and stops. At what point do we remain the professional and charge, and at what point do we give back? In this profession, there’s an assumption that writers are not supposed to get wealthy off their words. It’s supposed to be a sacrifice. I believe that a writer needs to set limits on the giving back or they’ll be sucked dry. But time is money in this industry, so each side has to respect that of the other. 2) If an author could concentrate on doing three things after their book is published, what would those three things be? First – Never let one day go by without promoting the book somewhere. Second – Start work on the next book. Third – Keep an active chatter online about the book, it’s progress, appearances, reviews, etc. and that includes a newsletter. 3) What conferences nationwide could you recommend for the development of an author of any genre? Specific genres? There are dozens and dozens of conferences each month. And each author needs to decide what they wish out of a conference before they select one. For instance, are they trying to pitch a manuscript? Then find one rich with agents and publishers taking pitches. Or are they working on craft and are a beginner? Or are they seasoned and need in depth work in a masterclass setting? Or do they want to rub elbows with other authors in their genre, necessitating a conference like Killer Nashville for mystery. Do they want a CON or a conference? Bouchercon is a fan-based conference as well as an educational conference. It’s huge, which begs another questions . . . does an author want to attend an event with 800 people or do they prefer something more intimate with 50? Do they want to go someplace exotic or tucked away in the Blue Ridge Mountains? Do they want to talk the business side of things or just craft? As you can see, I’d have to list 50 conferences here to address everyone’s needs and even them would only cover one or two conferences per category. To find conferences, research WritersDigest.com (and then search “conferences”), Poets&Writers (https://www.pw.org/classifieds) , ShawGuides.com, then of course there’s the Association of Writers and Writing Conferences (https://www.awpwriter.org/wcc/directory_conferences_centers) . 4) How do you choose your book clubs, or do they choose you? I scrounge for book clubs because most of them are very obscure and private, but I have to admit that they contact me. There is no one place to find book clubs because most don’t want to be found online. Libraries and bookstores know the local clubs and can make connections. But it also helps to have a book club section on your website. What makes landing book clubs difficult is the fact many book clubs go by bestseller lists in making their selections. Or from lists recommended on Goodreads. 5) How do you escape from your writing during the day? When you have writer’s block? My escape is gardening, raising chickens, reading, and crosswords. My husband says I love reading anything and can’t stand not to have words in front of me. Maybe not that true, but I do adore reading, and I have books on my nightstand, near my computer, and next to my recliner. I can rarely just watch television. It has to be a superb show. Otherwise, I’m glancing at writing how-to books and mags, keeping a journal, or doing crosswords. But gardening takes me away from writing, but I still plot while pulling up weeds and tying tomatoes. And I make myself think about a chapter as I go to sleep at night. You’d be amazed at how many times I’ve awoken in the morning with an idea. Writer’s block? Sorry, do not believe in it. We can always write. It might not be the project we want to work on, but we can write. I’m a believer in plowing through the tougher days of writing. If I am choosing to write for a living, then I am choosing to ignore writer’s block. I have to report to work. No other job lets you go home on those days you don’t feel like working. Since it’s National Poetry Month, I’d like to share a poem I penned for my 2015 Da Vinci Award Winning book, FOLLY BEACH DANCES – THE INFINITE RHYTHMS OF A SOUTH CAROLINA SEASHORE, inspired by the sea’s rhythm and my lymphoma journey, and endorsed by Karen White, NYT bestselling author. It’s titled “The Drifter”, on page 5 of this ‘healing’ coffee table book of lyrical poetry and gorgeous photography, with reflections by 5 award-winning women authors, and my husband. with branches reaching out to a cornflower blue sky and white-streaked cotton clouds. and a warm crackling fire at night. I first heard Hope speak at the Missouri Writer’s Guild conference a few years ago. I loved the fact that she always smiled, and consistently wove positivity in her talks. When I discovered Hope and I were featured authors at a booksigning at Columbia, South Carolina’s Irmo Branch Library in March, I suggested our husbands meet over dinner the evening prior to the event. After three hours of lively conversation on writing, vacations, dogs, and various topics, we almost closed down the restaurant. Looking around at nearby tables, we didn’t recognize any of the original patrons when first seated. We decided to leave the waitress a NICE tip. Hope graciously accepted my invitation to do “An Author Spotlight” Q&A. So without, further ado, I give you C. Hope Clark! Q: When did you realize you wanted to write for a living? And do you prefer speaking engagements to writing? Funny, but I can recall making the mental shift from working for a living to the concept of writing for one when I had lunch with a co-worker and he asked why I did not write for me. My work was routinely craved by management when I worked for the Federal government, and I entered my boss’s office many a time to ask “how do you want to spin this?” Should’ve known I wrote fiction all the way back then. But after three years of playing at it part-time, I realized that writing was what I wanted to do, with a passion I’d never had for anything else, so I took an early retirement at age 46 and never looked back. I’m a strong advocate of moving forward and never looking back. I prefer writing, without a doubt. However, it’s the speaking that gives me that medicinal vitamin shot in the arm, making me see clearly why I write. I adore speaking to fans, audience and students alike, and their thrill and passion seep into me all over again such that I go home rejuvenated to write again. We have to go out and touch the world to understand how it all works. Q: What compels you to write about the rural Carolinas, mystery, and weaving an agricultural bent into your books? My degree is in agriculture. My grandfather was a cotton farmer, and I adored my summers on the farm. I love to garden and can’t stand urban for very long. Nature nurtures me. That and I wanted the world to see more of SC than Charleston, Hilton Head and Myrtle Beach. We are strong people with deep roots and a desire to preserve what is ours, the good and the bad. We don’t write off history, we learn from it, and I want Carolina Slade to be a representative of this state. And of course, what better way to do that than via a mystery that draws a reader into the setting, into the characters’ lives, to make them guess and solve a puzzle, and ultimately realize that the setting was as much as part of the story as the protagonist and the clues. These books are my way of expressing love for where I live, and for its people. Q: What do you want readers take away from your books? A strong sense of place. A wish to be like the protagonist, or at least have enjoyed walking in her shoes. An appreciation for people and understanding that some people are worth fighting for regardless what rules have to be broken. Honor is everything. Q: What advice do you have for new writers? Write daily. Read daily. I know it sounds oversimplified, but it’s a practice few new writers are willing to follow, and without this ingrained habit, the writing doesn’t happen. As Anne Lamott once said in “bird by bird’, it is important to have a moral position no matter what you do in life. What is your moral position? Honesty. I believe in people until they prove me wrong. Dear Kindred Spirit, This is the fifth time in three years that I’ve visited your peaceful respite. The mailbox and the bench formed the basis for newfound friends – Nancy and Jazzy from Virginia, Jacqueline and Sandy – your keepers, and Colin and Dan from LA. It’s piqued the interest of friends back home, Lisa and Mark. It’s with deep sadness since last I wrote in your journal, my Aunt Georgia succumbed to emphysema, and my sweet three-legged cat, Tripoli passed on. Though they’re gone, they shared a common thread. Both were both Kindred Spirits – bringing joy and happiness to all those around them. And just last year, on the sandy shoreline, near the Kindred Spirit Bench, our dogs Sabrina and Bordeaux frolicked with Dan, the Italian greyhound, now running free on Rainbow Bridge. Oh Kindred Spirit, how I love your inspiration! 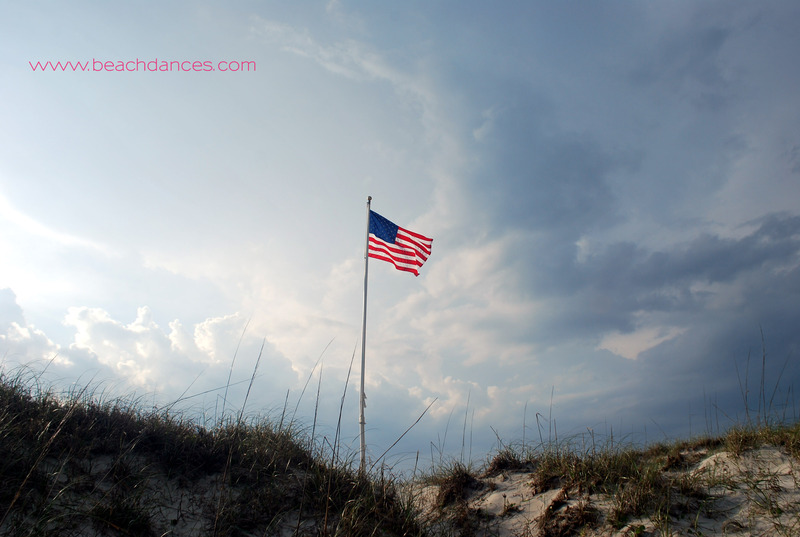 From your weathered post, to the ocean’s depths, to your rolling dunes, to the red, white, and blue waving in the breeze! 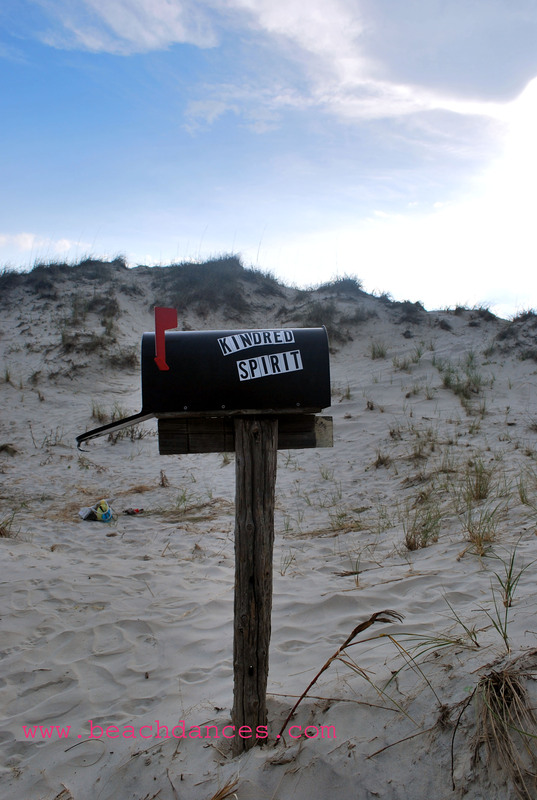 A gracious ‘thank you’ to the couple who planted a foundation so many years, and started a movement of love…a way to share innermost thoughts and feelings in journals safely protected by a mailbox at sea’s door. I come here today with my fur babies, and my husband – my best friend. 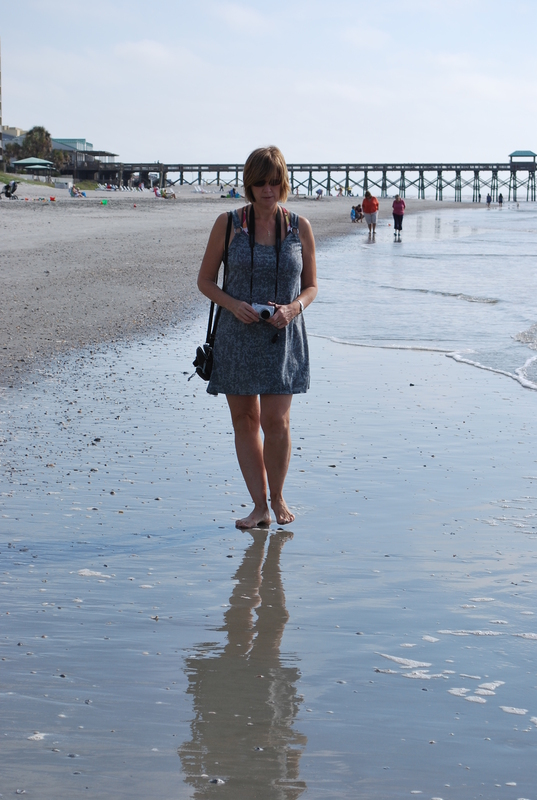 Friends, the Lowcountry, and Thoughts on Life….. Boy, it’s been awhile since I blogged. Time sure flies when you’re busy. 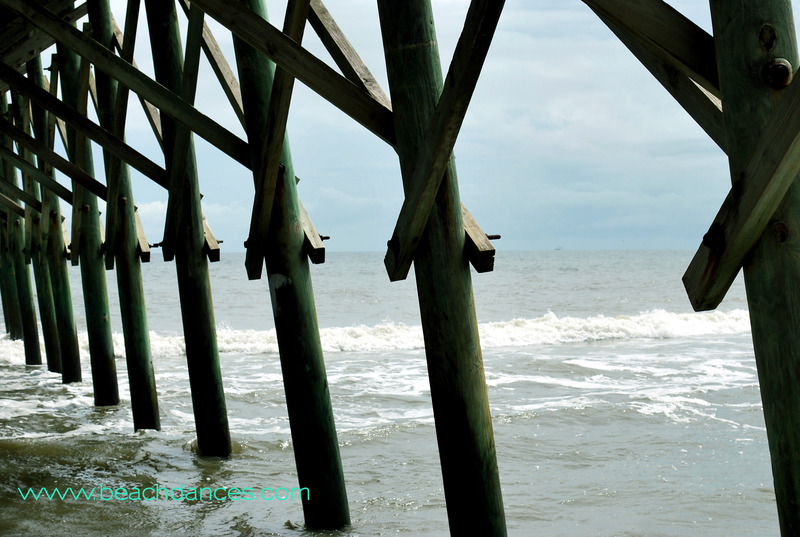 I spent last week in Folly Beach and Charleston, South Carolina in search of just the right places to market FOLLY BEACH DANCES, my ‘healing’ coffee table book. 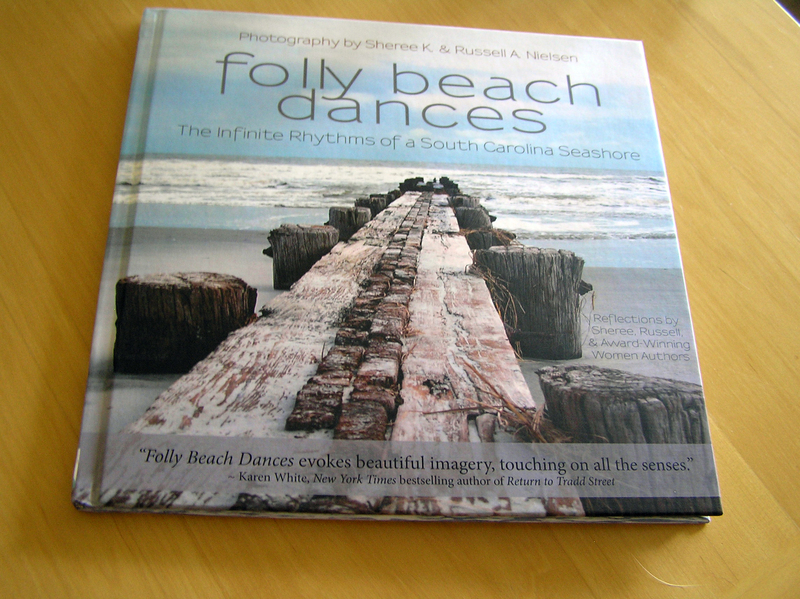 Folly Beach Dances graces the shelves of independent bookstores in South Carolina – Blue Bicycle in Charleston, and Indigo Books on Kiawah Island, and the Folly Beach Pier giftshop. I’m very grateful for these opportunities to showcase my proudest mission, and journey. While in South Carolina, I visited the sweet town of Summerville for the first leg of a freelance story, and visited a dear friend from Missouri. It was wonderful to share time together. 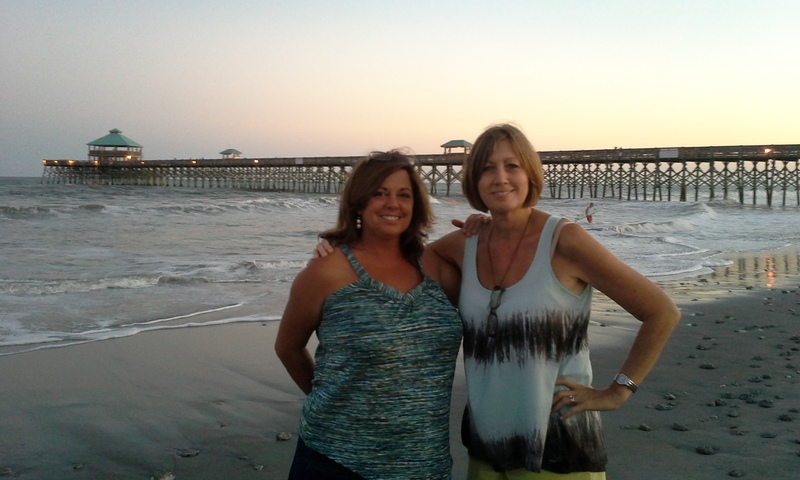 I enjoyed savory food, new sights, and the company of my best friend and Folly Beach Dances, contributing writer, Tina Solomon. We had some laughs, got lost a few times, met some interesting people, visited her family, and of course, spent time at the beach. You know the beach just has it’s way of pulling you in. Dreamy, creamy sunsets. The wild surf. 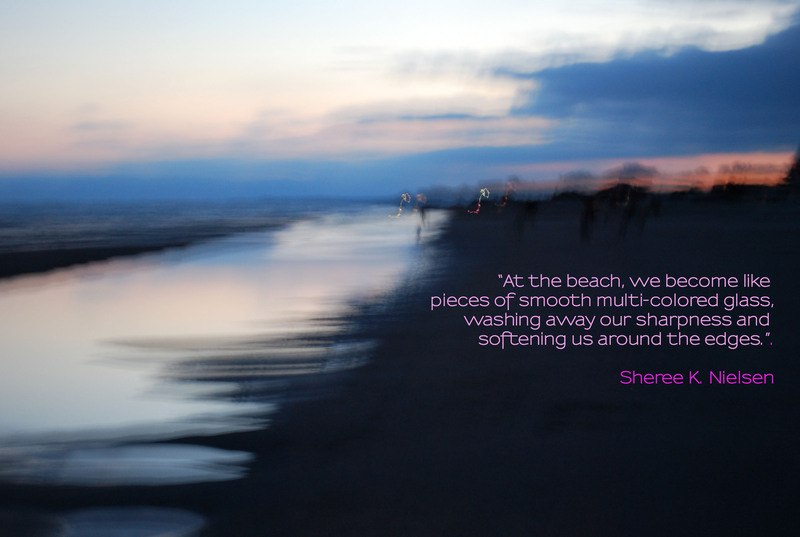 The soft sand between your toes. The sultry nights. Long conversations with friends. I just love it all. We even saw a couple young men twirling fire wands in the dark of night. It was mesmerizing. 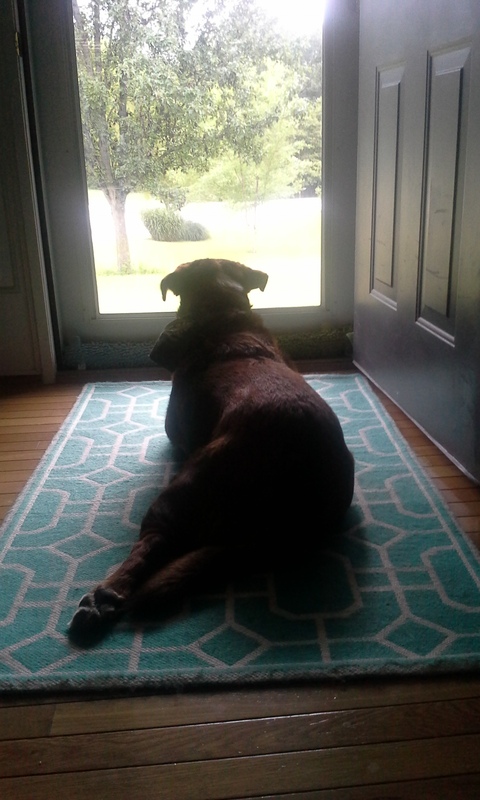 And although the Carolinas are (by far) my favorite states, and I know I’ll be back in October for several book events, it’s always nice to come home to the ones you love. An understanding husband. Some goofy dogs. A couple of arrogant cats. Some Daddy Long Legs on the porch. The resident rabbits. The scene from my kitchen table overlooking our property is priceless – cardinals, hummingbirds, rustic oak trees, and a squirrel scampering on our deck with not one, but two, walnuts in his mouth. And as I sit here in the quiet of the house, penning this post, and watching my wonderful husband work with feet propped up on the ottoman, I’m thankful. Thankful for all the opportunities afforded me as a writer and photographer over the last six years. Patt and I go back about five years. We met through Saturday Writers, St. Peters, Missouri. I immediately liked her great sense of humor, and her matter-of-fact personality. When I was looking for poets and writers to contribute to my ‘healing’ coffee table book, FOLLY BEACH DANCES, Patt was one of my first picks. Actually, all of the women in my writer’s critique group were first ’round’ picks. “The messages in the verses I wrote for Folly Beach Dances are rooted in my decades of experience as a professional writer, life coach, and therapist. However, my imagination was instantly ignited by the crisp unique quality of Sheree and Russell’s photos. I do not have a favorite of the five I contributed, but the life lesson in Pole Dance on page 30 is one to which all can relate. The stark angularity and tangled crisscrossing of the poles reminded me that life is never simple or running in a straight line. Patt Hollinger Pickett, LMFT, M.Ed., Ph.D.
No emotions can describe the feeling I have right now, but I’ll try with some cliche catch phrases…. 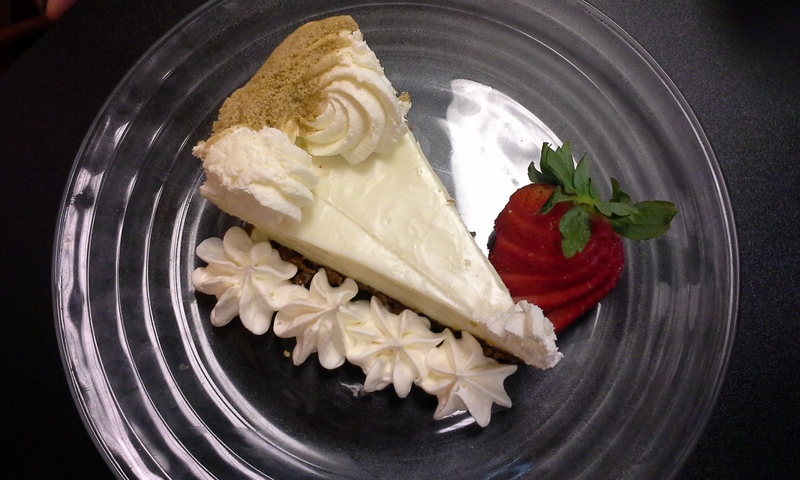 Over the Moon, Flippin’ Awesome, Crazy Happy, On Cloud 9, Rapturous, In 7th Heaven…. That’s how we felt when Karen White, NYT bestselling author of the Tradd Street Series and endorsed our book, Folly Beach Dances, and then shared her thoughts on facebook with more than 8,000 other followers! I’d have to say it looks lovely on her table, doesn’t it? Click on Karen White’s LINK for her review. May 1, my husband and and I, released our ‘healing’ coffee table Folly Beach Dances for purchase on the book’s official website Beach Dances. 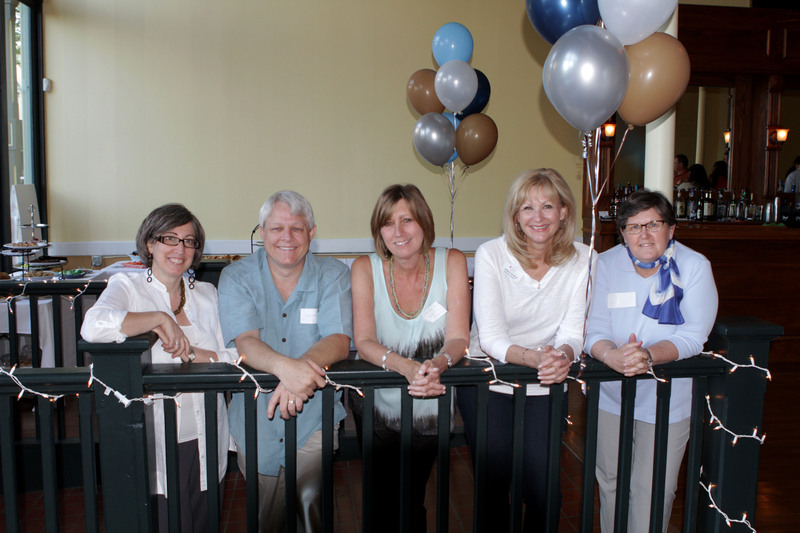 May 4, we kicked off with a book launch party and celebration at Grand Opera House in St. Charles, Missouri. Our ‘healing’ coffee table book, Folly Beach Dances, combines our love affair with Folly Beach, South Carolina, along with lyrical movements and universal beauty – expressed through dance names. It tells the story of sandpipers, babies, dogs, and yes, even structures moving in infinite rhythm. 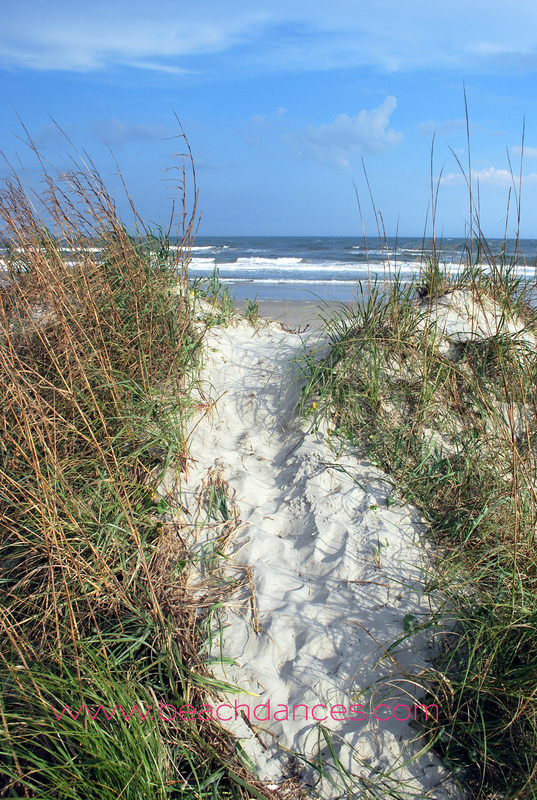 Literary interpretations from five award-winning women authors, including us, accompany our photographs of Folly Beach. Diagnosed with lymphoma in June 2012, I’m donating 10 percent of every book sale to the Leukemia and Lymphoma Society. 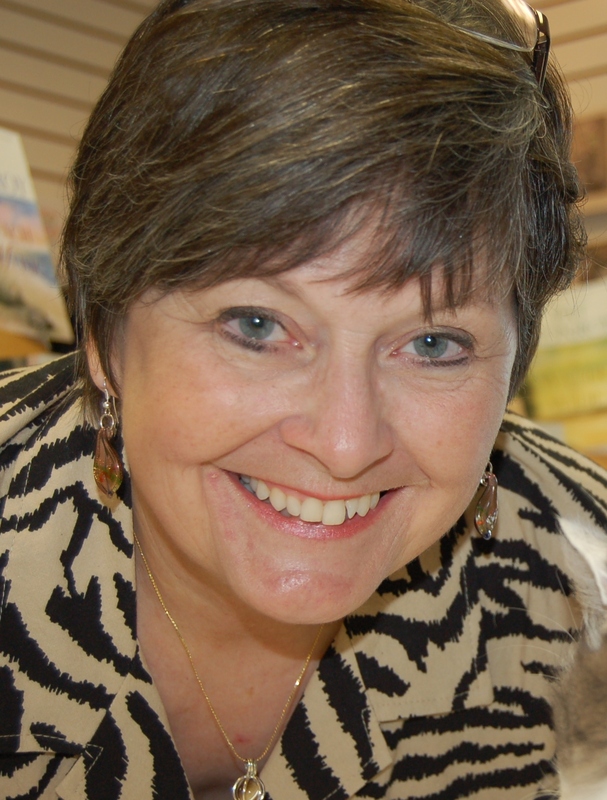 Debbie Kersting, Leukemia and Lymphoma Society’s Gateway Chapter Director, has written the foreword for the book. Friends, and family wore the colors of sand, sea and sky. The sweet vocals of Ashley Delgado mixed with the acoustic musings of Chris Griffith, guitarist extraordinaire. The three food tables were a cornucopia of sorts. 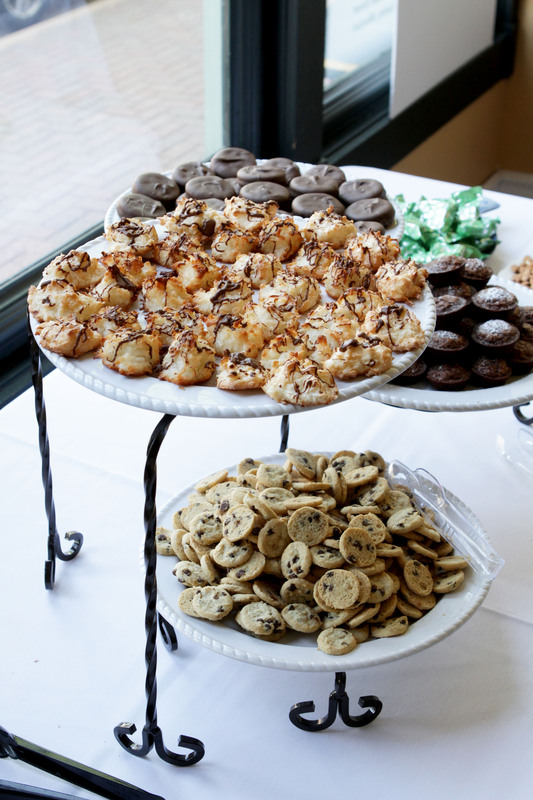 Chocolate-covered almonds, sesame-honey coated cashews, coconut macaroons were a few of the dessert delectables. Cheddar bay biscuits, prosciutto wrapped mozzarella, and kalamata olives provided sustenance. Friends arranged the tables for Russell and I, so we could focus on the event. White tablecloths draped with weathered gray and sandalwood hued napkins complimented the white and caramel-colored candles under glass hurricanes, and balloon bouquets hung from the ceiling and rails. The speakers for the night – Representative Bryan Spencer, Wentzville district; Deborah Marshall, Warrior Arts Alliance; Kristy Makansi, Treehouse Author Services, and of course, Debbie Kersting, Gateway Chapter Director of the Leukemia and Lymphoma Society. Contributing Authors Pat Wahler, Patt Pickett, Mary Horner and Tina Solomon read a selection of their poems, accompanied by appropriate photographs projected on the wall behind them. I spoke about the book’s mission, and how important it is to take care of yourself. There were tributes to friends Rick Wheeler, diagnosed with follicular lymphoma, and friend Dave Reed, who’s overcome Histocytic Sarcoma, a deadly cancer. 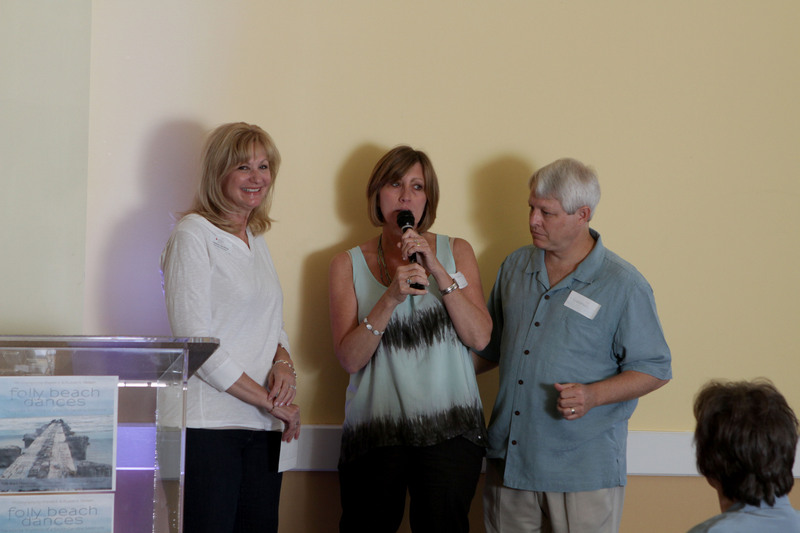 And finally, as the program came to a close, Russell and I called Debbie Kersting back up to turn over our donation to the Leukemia and Lymphoma Society. There were many door prizes – the book, greeting cards (photos from the book), sparkling juices, and even a black pearl bracelet from the Caribbean. Russell and I hoped we made a difference by hosting the book launch. It’s not really about the book, it’s about the people. The people you meet at your local Starbucks, the people you’ve known forever, the friendships you forge, the family life time relationships, those you’ve made a difference in their lives, and loved ones that have passed on. And when you think about it, everybody’s got something. Physical ailments, issues, hard times, relationship troubles. Isn’t it true? This book is dedicated to dreamers, the beach lovers, the dancers, the Mom’s and Dad’s, Folly Beach residents and all those with ailments – everywhere. It’s meant to be a book of self-hope and positivity. So when you got out into this big fat beautiful (sometimes cruel) world, remember to dance! It’ll make you feel real good. Sorry I’ve been remiss about my blog posts. I’ve been anxiously awaiting the second proof on our ‘healing’ coffee table book, Folly Beach Dances – The Infinite Rhythms of a South Carolina Seashore. Well, it finally arrived yesterday. It’s gorgeous. My book designer Kristy Makansi did a fine job on the layout, and in choosing a font that captures the essence of the book. Thanks to my contributors Pat Wahler, Patt Hollinger Pickett, Mary Horner, Marcia Gaye, and Tina Solomon. And my photographer husband, Russell. I love you guys. Thanks to all who inspired and endorsed me along the way – my church family, my crazy cousins, writer and photographer buddies, the barristas at the local Starbucks, my hairdresser, my neighbors, and new acquaintances made on vacation. I can’t believe the project is almost over. But I’m glad I took on the challenge. Now comes the task of marketing the book. Another mountain to climb. My mission for the book is of ‘healing’. For everyone to take care of themselves, and go forth in this world with a positive impact on those around you. Maybe even pay it forward. Smile more. Laugh often. Love alot. In June 2012, I was diagnosed with low-grade lymphoma – which is manageable and treatable, but not curable. A portion of the books proceeds is being donated to the Leukemia and Lymphoma Society. With that said, remember to dance. It just makes you feel good. 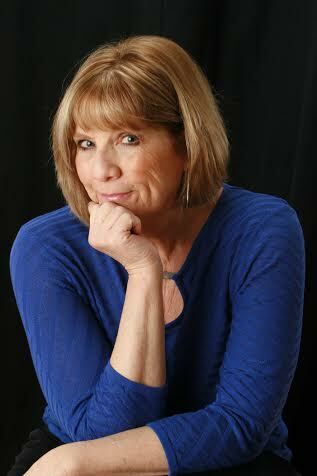 Last fall, I attended a Saturday Writer’s workshop by poet Kelli Allen. Kelli asked each of us to ‘think outside the box’ and also add something to our poetry, that doesn’t quite fit. Sorry it took so long to post, but this was one of the results from that day. reflecting from the wet, yet powdery, shoreline.